Water is essential to life. It’s relatively abundant and affordable in the United States, with treated water averaging about $2.00 per thousand gallons. It’s also critical to dental health as part of oral hygiene and as a vehicle for added fluoride to protect against tooth decay. Water is also big business. 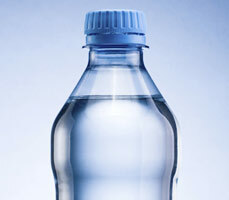 We Americans drink an estimated 85 million packaged bottles of water every day. As with any profitable business, there’s no small marketing hype by the bottled water industry, including claims of superiority over community tap water. These claims should be examined more closely. One advocacy group, the Environmental Working Group (EWG), subjected several brands of bottled water to independent analysis with some surprising results. Many of the samples contained disinfection byproducts, wastewater pollutants like caffeine or drug residue, heavy metals and, in some cases, bacteria. While none of the contaminants found exceeded legal limits, companies weren’t forthcoming with consumers on the possible presence of these substances in their product. If fluoride is one of those unidentified substances in bottled water it could affect the dental health of an infant or small child. While fluoride is a proven cavity fighter, infants and smaller children can ingest too much for their body weight. For this reason, parents often use bottled water to mix with formula, believing it to be fluoride-free, when in fact it may not be. Because bottled water is regulated by the Food and Drug Administration, it isn’t subject to the more rigorous standards for tap water administered by the Environmental Protection Agency. Manufacturers also aren’t required to identify the source of their water, the methods and degree of purification and testing for contaminants. There are independent organizations that seek those answers on behalf of the public. For example, EWG publishes a Bottled Water Scorecard online (www.ewg.org/research/ewg-bottled-water-scorecard-2011) with ratings and information on different brands of bottled water. If you have concerns about your tap water, you may want to consider another alternative to bottled water — in-home water filtration. EWG also has a guide on various types of filtration methods at www.ewg.org/tap-water/getawaterfilter. The purity of your water greatly impacts your family’s health, including your teeth. Distinguishing between fact and hype will help you make better decisions about the water you drink.